Our diamond earrings, colored gemstone earrings, and gold earrings are made with the same care and attention to detail as our engagement rings. We start with the design. One of our talented designers creates something exclusive to our stores or we search the globe to find a unique style. 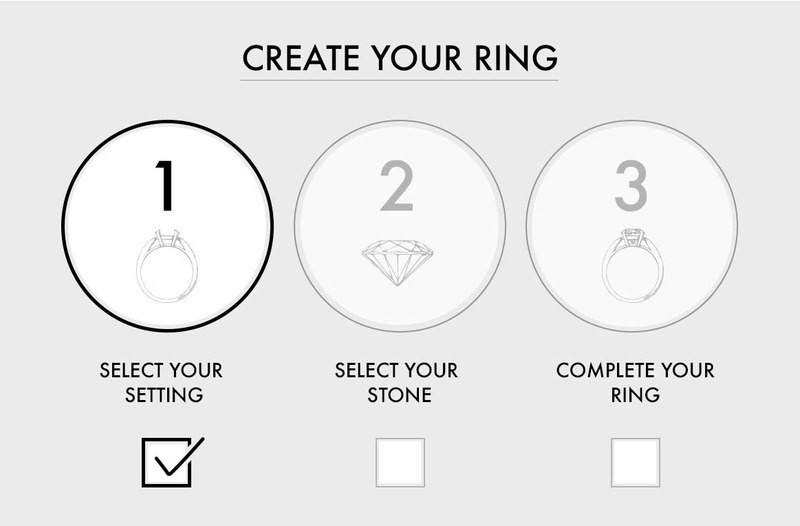 We will then determine whether to craft the earring in platinum, 18 or 14 karat gold. If we choose gold, we decide which color to use; white gold, yellow gold, or rose gold. Remember, you are able to select the karatage or color for most earrings. If the earring is a diamond stud earring, diamond fashion earring or color gemstone earring with diamonds, our diamond buyer will decide where the best diamonds come from for that style. 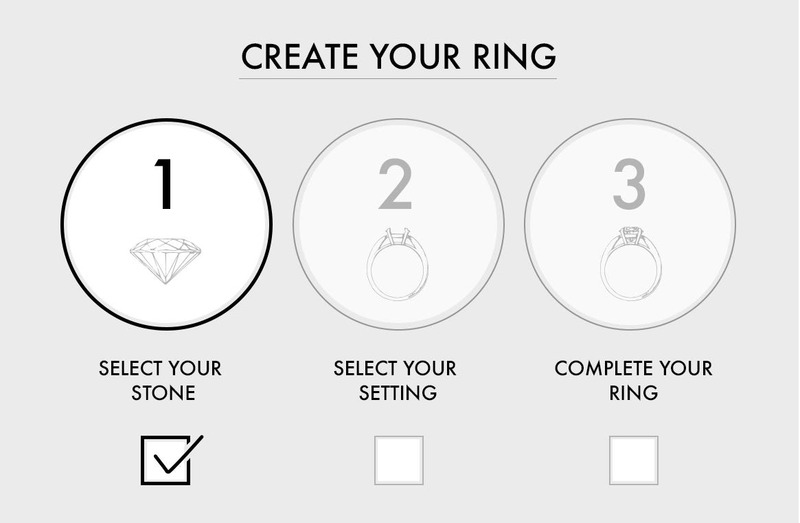 We will go through hundreds of diamonds to match for color, clarity and cut. Each and every diamond is hand inspected, even stones that are just .003 of a carat. Simply stated, we will even hand loupe (look under 10 power magnification) stones that total 300 per carat! The diligence in selecting our colored gemstones equals what we do for diamonds. We travel the globe to bring back the best the world has to offer. This is why you will see a difference in our rubies, emeralds, sapphires, garnets, amethysts, aquamarines, peridot, opals, citrine, topaz, morganite and tanzanite. We are so proud of the vibrancy and intensity of our gemstones. Once the diamonds and gemstones find their way to our office, the fun begins. Our jewelers set, polish and quality control each earring. The finished pair of earrings must pass one last intense quality control inspection. As you can see, we try to control each step of the manufacturing process. By the way, most of our all gold and sterling earrings are either direct imported by us or made in our shop. They go through the same stringent quality control processes as our diamond and gemstones earrings do! We have just started to import our akoya, freshwater pearl, Tahitian pearls and South Sea pearls directly from the pearl farmers in Asia. Our repair department can also make repairs to most of your heirloom earrings. Please see our store associates or customer service department. If you desire to have a one of a kind pair of earrings made, our custom department will be happy to work with you. If you can dream it, we can mostly likely make it. Please see our store associates or customer service department. Financing is available and we are able to work with most of our clients to get some level of financing for them. Please see our store associates or customer service department. We carry many designer lines of earrings in our stores; Alex and Ani, Pandora, Gucci, Lagos, Tacori, Hera, and Marco Bicego, just to name just a few. Embrace the Difference and Hunter’s Hope charitable lines of jewelry are exclusive to us. We are extremely proud of both the level of donation and community involvement that these fine lines provide to our area. Lastly, if you are interested in estate earrings they can soon be found on our estate page of our website.